NACOGDOCHES, Texas - Pianist Janice Fehlauer will present her "Carnival!" recital program in a guest performance at 6 p.m. Saturday, Oct. 20, in Cole Concert Hall on the Stephen F. Austin State University campus. The recital is a feature of the SFA Friends of Music Concert Series, and the program is "a celebration of carnival traditions all over the world," Fehlauer said. "The 'Carnival!' recital program owes its genesis to the time I've spent contemplating traditions and the challenge of planting oneself in a new culture," Fehlauer's website states. "My daughters were born in Houston, and because my husband and I are both immigrants to the United States, I've thought about the ways in which their cultural upbringing differs from my own. I've been careful not to allow my daughters to feel 'placeless,' meaning I don't want to immerse them in the traditions and culture of their parents' origins to the exclusion of the place where they themselves were born." One way in which Fehlauer tried to give them roots in the Gulf Coast is by celebrating Mardi Gras. "Musicians since time immemorial have always loved a good party, so it's no surprise that the classical tradition offers a great deal of Carnival-related music," she said. The program includes Francois Couperin's "Onziême Ordre de Clavecin," Robert Schumann's "Faschingsschwank aus Wien," Franz Liszt's "Hungarian Rhapsody No. 9, Carnival in Pest," Igor Stravinsky's "Trois mouvements de Pétrouchka" and Heitor Villa-Lobos' "Carnaval das crianças." The selections span many centuries and many different countries, according to Fehlauer. "Whether it's called Shrovetide, Fasching, Mardi Gras or Carnival - from Couperin's satirical pageantry to Villa-Lobos' mischievous characters - across France, Austria, Germany, Russia and Brazil, the celebration of this holiday is musically rich," she said. "Please join me at this performance to enjoy some of the piano's greatest classical party music." Fehlauer is a sought-after collaborative artist who has performed for chamber recital series in Boston, Little Rock and Dallas. She was on staff of the American Institute of Musical Studies in Austria for two summers. She served as répétiteur and assistant chorus master at The Dallas Opera, and she has also played and coached for Fort Worth Opera, UNT Opera Theater, Moores Opera Center and the Houston Symphony Chorus. 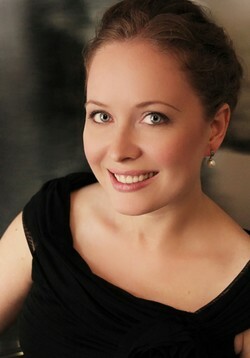 She has been a vocal coach and music director for Houston Grand Opera's educational programs. Fehlauer lives in Houston and teaches at the Kingwood Music School. For more information, visit www.janicefehlauer.com.